The Joint Apprenticeship & Training Committee offers a complete 3-year program incorporating on-the-job training and supplemental classroom related instruction for the Residential Electrical Wireman, and continues to accept applications from eligible applicants in accordance with its approved standards and selection procedure. These must be in legal document form. Photocopies will be made and must remain in the applicant’s file, with the originals being returned to the applicant.Each qualified applicant will be required to participate in an oral interview with the Electrical Joint Apprenticeship Committee. The purpose of this interview is to evaluate and determine eligibility, and the proper period of apprenticeship for which the applicant qualifies. This evaluation procedure may consist of a Credit for Prior Experience exam (CPE), the oral interview, and any supportive documents submitted by the applicant to ascertain his/her skill level within the program. All applicants who complete the interview process will be eligible for this program subject to the needs of the industry. 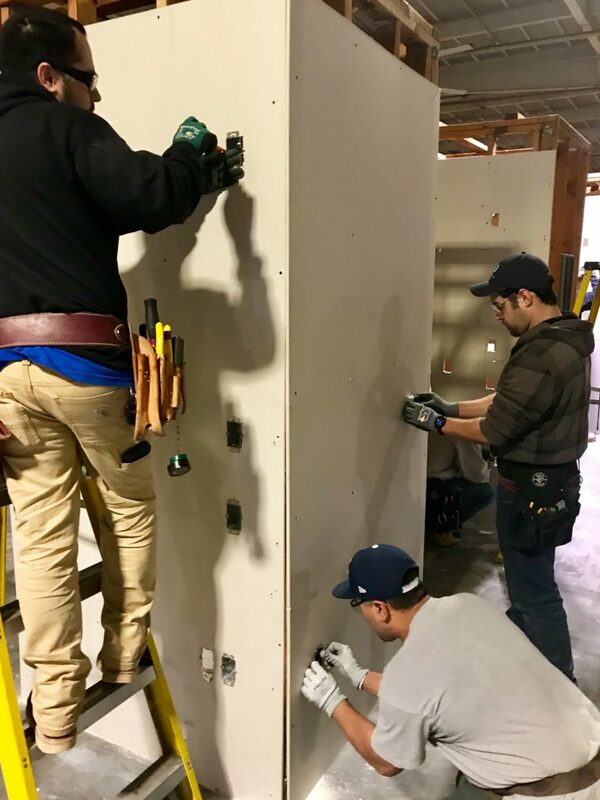 The Residential Electrical Construction Trade requires physical effort on the part of the apprentice to accomplish ladder and scaffold climbing, pulling, crawling, crouching, working in cramped and confined quarters, and lifting of 25 to 50 pound objects on a fairly constant schedule. The individual must possess the ability to closely follow specific instructions, especially safety directions. Inside Wiremen use many and varied hand and power-assisted tools to install conduit, wiring, fixtures, devices, and electrical apparatus within commercial, industrial and residential buildings.